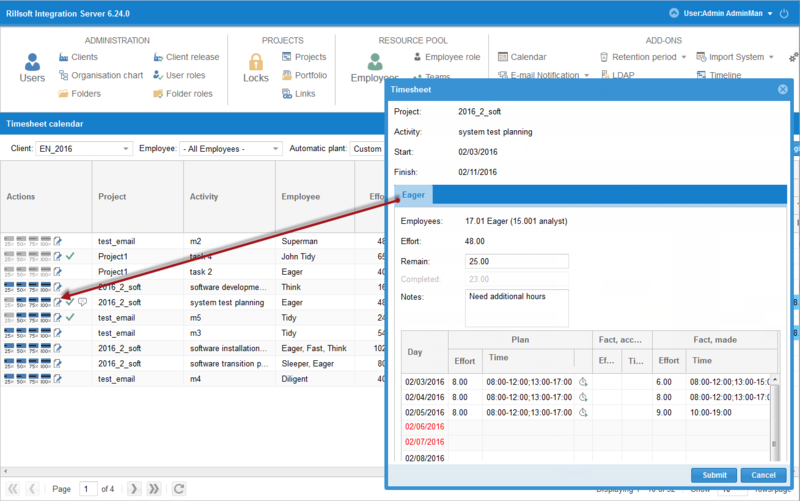 Timesheet module allows to enter the project members’ working time in a project. Timesheet which is bound to scheduled tasks and residual expenses definition. 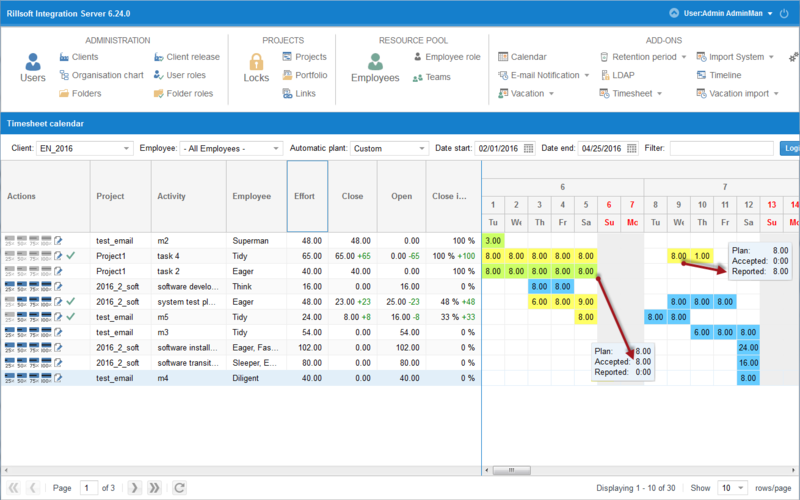 Approval of entered working times and residual expenses considering the organization chart timesheet. Date and project adjustments after the takeover of approved dates and residual expenses.